This decal is the perfect reminder to "Enjoy The Little Things ". 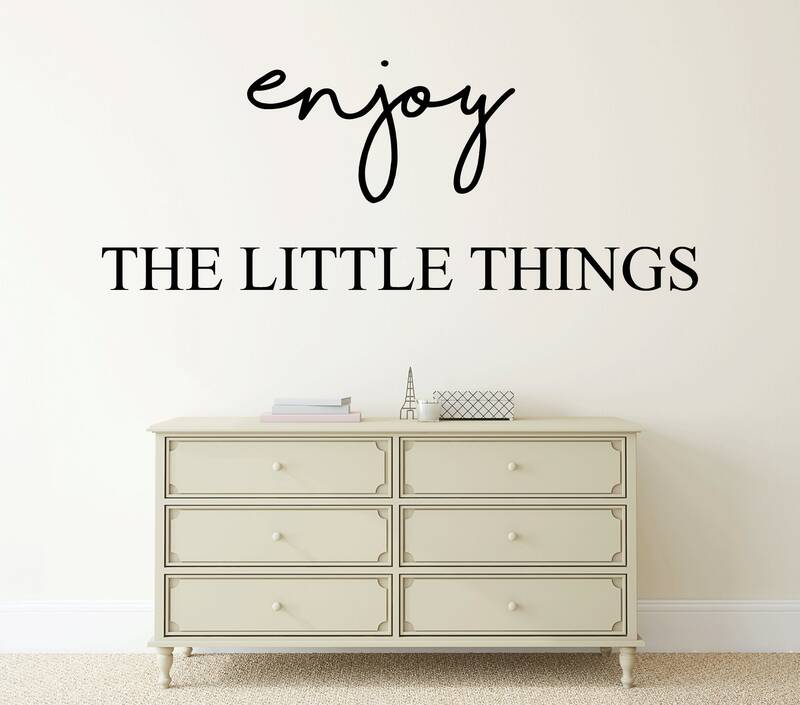 Easily apply this vinyl wall decal to any room in your home, for instant and elegant encouragement! Please note the size of this listing as the picture may not show the size to scale. The decal is 21 inches wide by 8 inches in height.